In yet another report from DigiTimes on falling graphics card demand, industry sources indicate that Nvidia has stockpiled roughly one million unreleased GPUs, all ready to go. 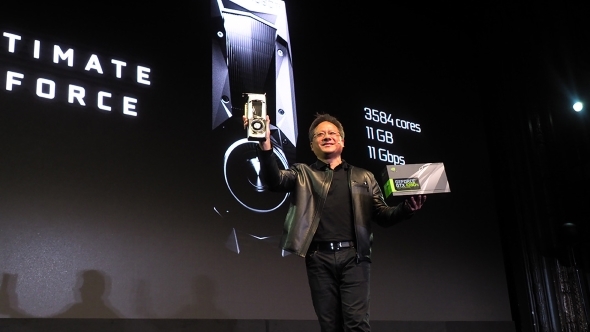 If the rumours are true, it would seem Nvidia is well-equipped for the launch of its next-generation graphics cards. Whenever that happens…. We’ve heard numerous reports of graphics cards demand, and subsequent prices, falling drastically for the last couple of months. The latest rumour speculates a 20% average price drop for July alone. Mining demand is in a slump – Bitcoin is currently at ~$6,000 after numerous multi-million dollar heists – and graphics cards prices have often dropped below MSRP as a result. If you aren’t prepared to wait a moment longer, you can check out all the best 4K graphics cards right here. This report estimates there are (very) roughly expected to be a few million units still in the channel across worldwide retailers and distributors. Alongside reports of Nvidia receiving over 300,000 GPUs from an unnamed taiwanese graphics card manufacturer, the green team may well be swimming in current-gen graphics silicon. The DigiTimes report, from unnamed sources within Nvidia’s supply chain, indicates Nvidia is also sitting on a huge quantity of unspecified and unreleased graphics cards. The massive inventory stockpile would make a lot of sense for the green team if the rumoured end of Q3 launch window turns out to be more than just wishful thinking. Nvidia’s CEO, Jen-Hsun Huang, recently said the launch date for next-generation GPUs would be “a long time from now”, but he would say that. 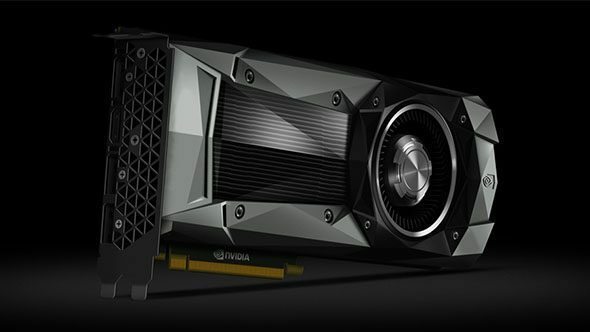 If Nvidia hopes to drain the current channel of old stock before the Nvidia GTX 1180 arrives, the less information about the next-generation cards’ release date that’s out in the public domain, the better. But we’ve been here before, and so has Nvidia. Back when the Titan V launched it was snapped at Nvidia Thailand six months before it was released. So if you think Nvidia is afraid of keeping its next-generation stock behind lock and key for long, it isn’t. It’s not like AMD is forcing the company’s hand, either. If Nvidia really is worried about current gen stock levels, the next-gen may be delayed further – throwing all the previous rumours and leaks throughout the year into disarray. The same sources that reported this apparent stockpile also note that Nvidia will be postponing next-gen cards until some of the current-gen inventory depletes. Despite the naysayers, and if you still manage to be optimistic, Q3 remains the strongest launch window candidate we’ve seen all year. Whether that actually means gamers can get their hands on new and improved graphics silicon before September, that much, unfortunatey, still isn’t clear.